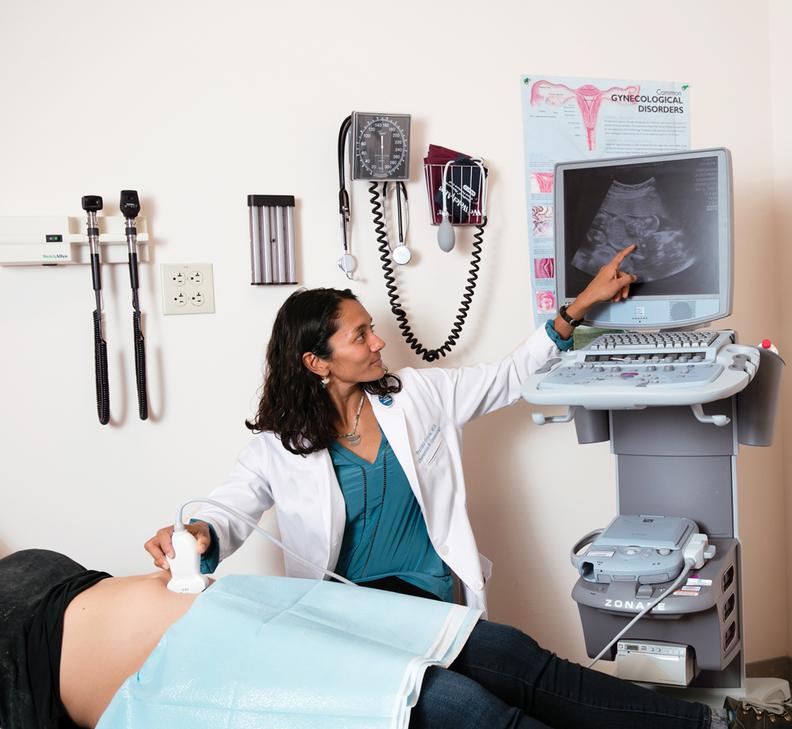 Patients may not understand that care decisions are being driven by religious rather than medical protocols, said Dr. Pratima Gupta, (above) a San Francisco OB-GYN who has had patients come to her after encountering problems in receiving needed care at Catholic hospitals. Catholic religious rules could pose serious obstacles to the pending merger between Catholic Health Initiatives and Dignity Health, a deal that would create the nation's largest not-for-profit hospital company by revenue. Those rules, the Ethical and Religious Directives for Catholic Health Care Services, substantially shaped the way the deal, initially announced in 2016, was structured. The reason is that 15 of Dignity's 39 hospitals are historically non-Catholic and provide services that are prohibited under Catholic doctrine, forcing the dealmakers to craft a merger model that worked around the directives. In June, the U.S. Conference of Catholic Bishops approved a new edition of the rules governing collaborations between Catholic and non-Catholic organizations. Those could further raise the bar for winning the Vatican's blessing of the merger. The new rules also could make it harder for the deal to gain approval from the California attorney general's office, which has regulatory authority over the 31 hospitals Dignity operates in California. Under the merger's complicated structure, all but one of Dignity's non-Catholic hospitals, including seven in California, would be placed in a separate Colorado-based not-for-profit corporation and allowed to continue performing medical services such as post-delivery tubal ligations that are deemed immoral by the church and that violate the directives. But if church authorities later found this arrangement unethical, some or all of the non-Catholic hospitals could be severed from the combined CHI-Dignity system, which has yet to be named. While the archbishops of Denver and San Francisco, where CHI and Dignity, respectively, are headquartered, have signed off on the so-called ministry alignment agreement, it still awaits Vatican approval. Both the timetable and outcome of the Rome decision process are uncertain, experts say, leaving a cloud over the plan to create a combined system with 139 hospitals in 28 states with total annual revenue of nearly $30 billion. Adding to the uncertainty about the Vatican's decision is that the merger proposal received an unfavorable moral analysis last summer from a prominent Catholic bioethicist. CHI and Dignity then sought additional moral analyses from three other ethicists, who gave favorable opinions. “I know a lot of people think it's already an accomplished arrangement, but Rome is reviewing it and the merger may not go through,” said John Haas, president of the National Catholic Bioethics Center, who issued the negative moral evaluation of the deal. Meanwhile, advocacy groups in California are asking state Attorney General Xavier Becerra, who has the authority to modify or block the merger, to take a close look at how the deal could affect reproductive, gender transition and charity care at Dignity's hospitals. At deadline, Becerra's office was expected to release a health impact statement Aug. 10 about the merger. It then will hold public hearings in 17 California counties served by those hospitals, starting Aug. 23 in San Francisco. “How hospitals interpret the Ethical and Religious Directives varies, and we want to make sure whatever services are available now continue to be available,” said Susan Berke Fogel, director of reproductive health at the National Health Law Program. Despite those concerns, dozens of state and local elected officials, healthcare executives and not-for-profit group leaders in California have sent Becerra letters endorsing the merger, upping political pressure to approve it. CHI and Dignity initially asked for a waiver from the AG's review process, then withdrew that request after some groups protested. The central role of the Catholic religious rules in the CHI-Dignity merger highlights the challenges and controversy that Catholic and secular organizations face as they increasingly partner to gain scale and survive in the tough new healthcare landscape. They are under political and legal pressure to offer a full range of services unconstrained by strictures against care the Catholic Church considers immoral—even as church leaders step up their religious scrutiny of partnership arrangements. Catholic hospitals operated by Dignity and other systems have faced lawsuits over their refusal to provide medical services such as postpartum tubal ligations, abortion in cases of ectopic pregnancies and risky miscarriages, and gender transition care. CHI, Dignity, and the attorney general offices in California and Colorado all declined interview requests. The merger agreement states that CHI or Dignity may terminate the agreement if it hasn't closed by Dec. 5, a year after it was signed. Haas said there is precedent for the Vatican to order the reworking of a merger between a Catholic and a secular healthcare organization, based on the directives, well after the deal was approved by the local bishop and finalized. “You can't presume on Rome's judgment,” he cautioned. Under the merger agreement, Dignity's non-Catholic hospitals would be placed in a separate not-for-profit corporation called Integrated Healthcare Operations. The new system's executives would manage the IHO division, while “oversight committees” at each hospital would monitor the services barred by Catholic doctrine. Those committees, which could not restrict or alter the services, would arrange for any net profits from those services to be donated to local charities. The agreement includes a “separation procedure” under which the system could eject one or more of the non-Catholic hospitals if Catholic authorities later determined that the arrangement violated religious rules against cooperating with immoral medical services. The system would help the withdrawing hospitals spin off independently or join another hospital system, extending support for up to three years. Since 1993, Dignity's non-Catholic hospitals, which had joined Dignity's predecessor system, Catholic Healthcare West, have operated under a “statement of common values,” while Dignity's historically Catholic hospitals operate under the more restrictive Ethical and Religious Directives. The statement of common values was negotiated by Catholic health system leaders and community representatives to allow the non-Catholic hospitals to continue providing reproductive healthcare services forbidden by Catholic doctrine, such as post-delivery tubal ligations, vasectomies and contraception. The non-Catholic hospitals are not allowed, however, to perform abortions or in-vitro fertilization or participate in California's physician aid-in-dying law. Still, Bouchard acknowledged it's possible that Dignity's non-Catholic hospitals could be ejected from the new system “if anyone discovers illicit cooperation” with immoral actions and that's brought to the attention of the bishops. Haas questioned whether establishing the separate IHO corporation within the new system to house non-Catholic hospitals that provide the proscribed procedures would comply with that directive. “Some would say this could work, but there are differing opinions on that,” he said. Advocacy groups skeptical about the merger are particularly worried about Section 10.7, the merger agreement's separation procedure. They warn it could let the new system renege on its commitment to maintain current reproductive services, either by forcing non-Catholic hospitals to halt them or ejecting them from the system. If they are pushed out, that could jeopardize their survival and hurt healthcare access in those communities. French Hospital Medical Center, San Luis Obispo, Calif.
Mark Twain Medical Center, San Andreas, Calif.
Sequoia Hospital, Redwood City, Calif.
Sierra Nevada Memorial Hospital, Grass Valley, Calif.
*Arroyo Grande would not be placed in the separate corporation for non-Catholic hospitals operating under more permissive religious rules but would continue to operate under those rules. The National Health Law Program, the American Civil Liberties Union of Southern California and two other advocacy groups recently sent a letter to Becerra's office asking for a thorough assessment of the current level of reproductive care and services for LGBTQ patients provided by Dignity's non-Catholic hospitals. The letter listed 13 reproductive services that should be studied in order to ensure there is no reduction in these services following the merger. The advocacy groups' concerns grow out of their experience handling patient complaints about alleged care denials. The ACLU has lawsuits pending against Dignity alleging that one of its Catholic hospitals improperly denied a post-caesarean tubal ligation to a female patient and another denied a hysterectomy to a transgender patient. Ruth Dawson, a staff attorney with the ACLU of Southern California, said that while Dignity's Catholic hospitals have more restrictive care rules, problems also occur at its non-Catholic hospitals, which operate under the more permissive statement of common values. She said physicians sometimes are confused by what's allowed and what's not allowed under the statement of common values. For instance, they may not know whether they can end a medically risky pregnancy, given that the statement of common values forbids “direct abortion,” which is not a medical term. As a result, clinicians may hold back on providing services in gray areas to protect their hospital privileges. Meanwhile, patients may not understand that care decisions are being driven by religious rather than medical protocols, said Dr. Pratima Gupta, an OB-GYN in San Francisco who has had patients come to her after encountering problems in receiving needed care at Catholic hospitals. “There's a big problem with the interpretation and application of both the (Ethical and Religious Directives) and the statement of common values,” Dawson said. Despite the tough issues raised by the Catholic care rules, many observers think Dignity's long track record of walking the line between religious and secular concerns will sway the California attorney general and other state regulators on the merger, though perhaps with some conditions attached. But tensions could mount if church authorities take a more restrictive view than they have in the past on the types of care allowed in collaborative arrangements with non-Catholic providers. Correction: Ruth Dawson is a staff attorney with the ACLU of Southern California. An earlier version of this story misstated her last name.